LeEco's been going through a very rough patch over the past few months, especially affecting its once grandiose expansion plans for the US. The company is still breathing though, and will hopefully see better days in the near future. 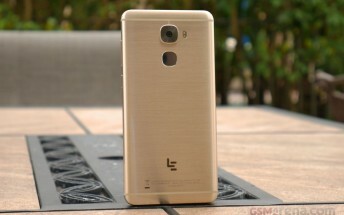 Regardless of how you feel about its troubles, today there's one great LeEco-related deal to know of. The Le Pro3 smartphone was launched in the US, in unlocked form, last October. It was then priced at $399.99. Now though, you can pick one up from Best Buy's eBay store for just $249.99. So you save a cool $150 compared to the recommended retail price. What are you getting in return, if you choose to spend that cash? A handset bearing a 5.5-inch 1080p touchscreen, a 16 MP f/2.0 rear camera with phase detection autofocus and dual-LED flash, an 8 MP f/2.2 selfie snapper with 1.4um pixel size, 4GB of RAM, 64GB of storage, and a 4,070 mAh battery. The Le Pro3 runs Android 6.0 Marshmallow underneath the Chinese company's eUI 5.8.